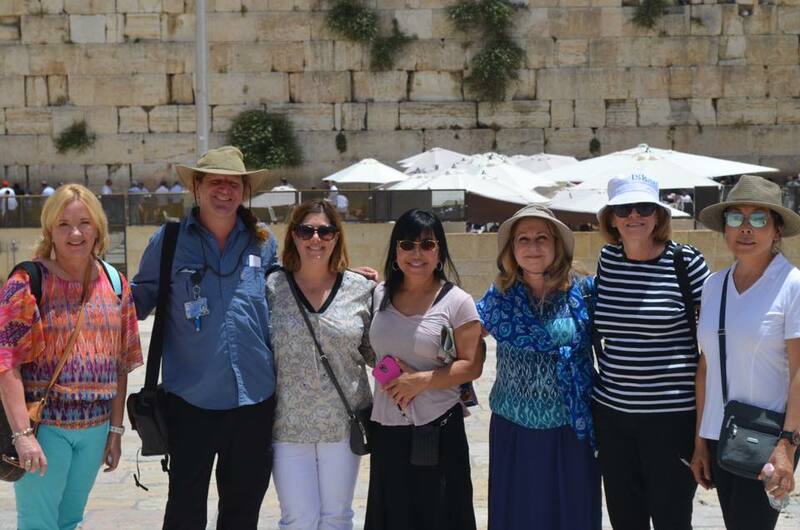 Meet and travel with singles as thousands of years of history come to life on this once in a lifetime Experience Israel tour. Cultural landmarks and places of great religious significance draw travelers from all over the world to discover its ancient mysteries and modern wonders. On arrival at the Ben Gurion Airport, shuttles will be available every 2 hours throughout the day. To give everyone a chance to arrive, no activities are planned today. We will meet for an optional dinner at 7:00pm. Today our day begins early as we depart Jerusalem and travel through the Judean wilderness to the Dead Sea. Our first stop is Qumran, visit the caves where the Dead Sea Scrolls were discovered. The Visitor Center tells its fascinating story and is a great place to buy Dead Sea products! Then we proceed to Masada. 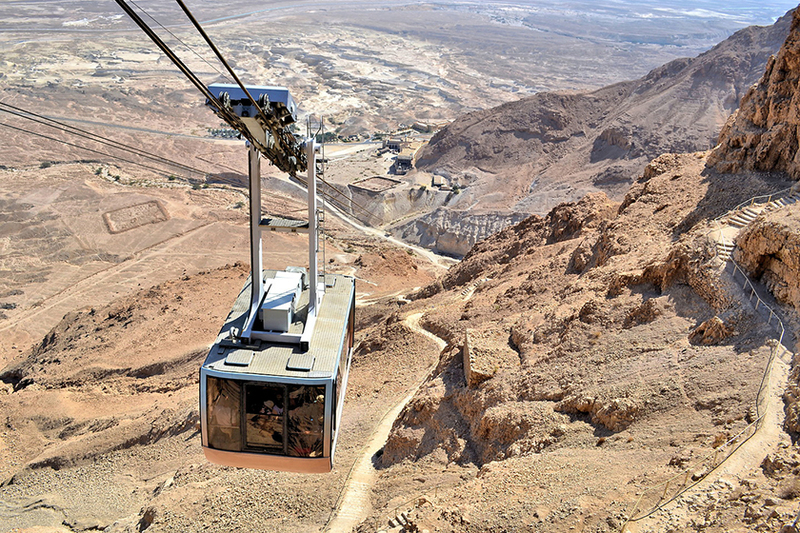 We take the cable-car up to explore this fortress built by Herod the Great, the scene of the epic stand by Jewish rebels at the end of the Great Revolt against Rome nearly 2,000 years ago. Watch the movie at the Visitor Center as it reveals the secrets of the rebels’ daily life, the story of the excavations, and how Masada became one of Israel’s most important symbols. Let's end our day with a relaxing float in the healthful waters of the Dead Sea, the lowest, saltiest body of water on earth. Then we will return to Jerusalem and our hotel. Tonight let's break bread over our Welcome Dinner at a local restaurant. Today is devoted to the New City, beginning with a visit to the Yad Vashem Holocaust Memorial. Walk through this astounding Museum with its new and moving focus on the individual in the Holocaust. Also visit the Children’s Memorial and Hall of Remembrance. Drive through the New City viewing old and new neighborhoods, the Knesset (The Israeli Parliament) and the beautifully designed Supreme Court building. At the nearby Israel Museum, among many other fascinating exhibits, discover the mysteries of the Dead Sea Scrolls at the Shrine of the Book and see the Model of ancient Jerusalem. Then take a stroll through the city’s venerable ultra- Orthodox Me’ah She’arim quarter (modest dress required) to get a sense of Jewish life of yesteryear. At picturesque Mishkenot She’ananim, in Jerusalem’s Yemin Moshe neighborhood see the first Jewish houses built outside the city walls. Montefiore's reconstructed carriage stands in a display-window next to the famous windmill, with the bonus of a beautiful view of the Old City walls. We will end our day along the pedestrian malls of Ben Yehuda Street and Nahalat Shiva, restored quarter of shops, galleries and cafes. In the morning prepare to ‘get dirty’ as we participate in an archaeological dig under Tel Maresha at Beit Guvrin, ancestral home of King Herod. Vast underground labyrinths of man-made rooms are being systematically cleaned and give evidence of underground industrial complexes dating from the Hellenistic period. Remains of olive oil production, weaving installations, water cisterns and baths confirm a high level of material culture. 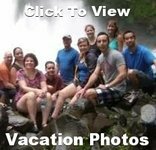 This site offers a wealth of discoveries and practical experience for those who want to "dig". You’ll discover pottery from the time of the Maccabees and get an appreciation for the tedious work of archaeologists! We then return to Jerusalem and visit the Mount of Olives, with its panoramic view of the Old City and its ancient Jewish cemetery. Then we continue to the Western Wall, the only remaining portion of the Herodian Temple standing and Judaism’s most sacred site. 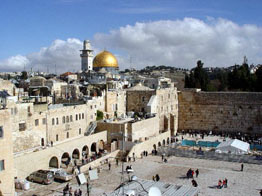 Then walk through the restored Jewish Quarter to the Cardo, once a main shopping street of ancient Jerusalem. Visit the Herodian Mansions, a complete residential quarter preserved for over 2000 years. Our day tour will conclude with a visit to Mount Zion to see King Davids Tomb. Say goodbye to Jerusalem this morning, as we travel north through the Jordan River Valley to the ancient remains of Beit Shean, one of the biggest excavated sites in Israel. Ancient Beit Shean, once a Roman city, has been extensively excavated to reveal public streets, bath houses, and theaters. The Talmud refers to this site as the "entrance to paradise." Continue on to Tiberias and check in at our hotel located on the shores of the Sea of Galilee. The remainder of the afternoon will be free to walk the local market or take a dip in the pool. Begin our day with a visit of Capernaum to see the ancient Synagogue dating back to the 5th century. Then stop in the ancient capital city of Jewish mysticism - Safed, where the Kabbalah faith has originated. The old part of town consists of narrow cobblestone alleys revealing artists' galleries, medieval synagogues, private homes and small guest houses. Continue on to Hazor, a Canaanite city rebuilt by King Solomon. Visit the Hazor Museum filled with artifacts found in the area through 21 historic layers. Then ascend the Golan Heights to visit the Tel Dan Nature Reserve where we will see old-water springs gush right up from the ground, forming the Dan River, which is one of the three principal sources of the Jordan River. Then we return to Tiberias for a relaxing evening and dinner at the hotel. 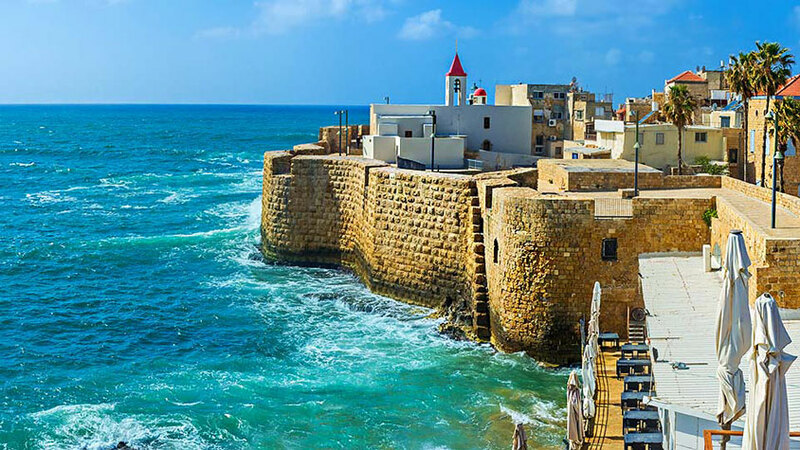 Depart Tiberias and travel northwest to Akko (Acre) on the Mediterranean shore. Explore the Upper Galilee and step back in time as we walk the ancient Phoenician and Crusader seaport city of Akko/Acre. 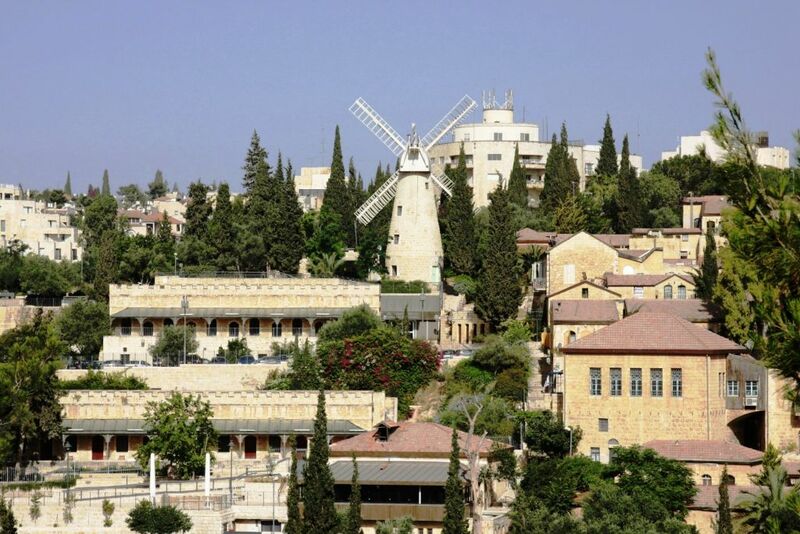 The former capital of the Crusader kingdom and the birthplace of the Bahai religion is a UNESCO Site. Tour the newly excavated Knights Halls, the Al-Jazzar Mosque, the bathhouse and the new ethnic museum, built right into the rooms of the old wall. There will be time to explore the colorful Oriental markets and city walls. Then continue north to Rosh Hanikra where we will descend by cable car to the cool grottos of the sea sculpted caves, carved out of chalk cliffs by the force of the beating waves. 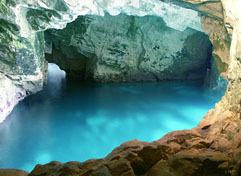 Walk through the grottos with the salty spray on your faces, and wonder at the fainting colors that come from the blue lagoon waters. 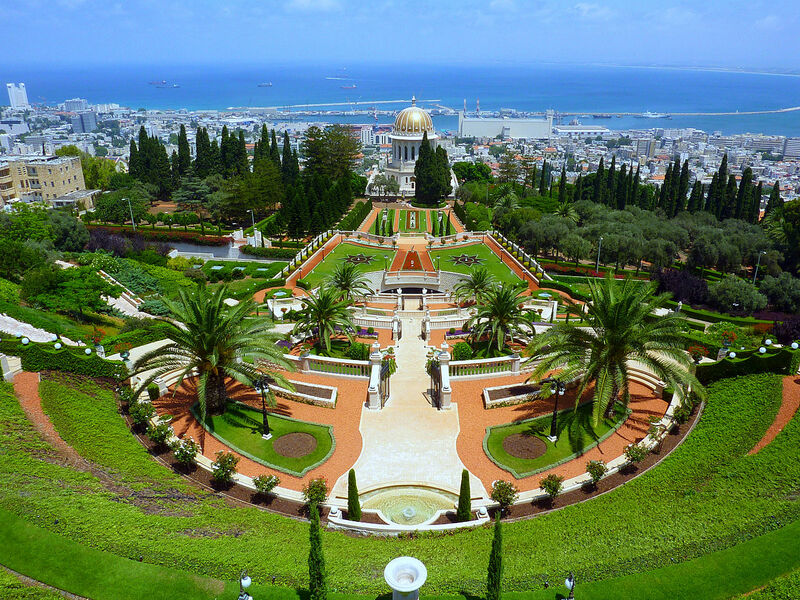 Then we travel south to the sparkling port city of Haifa and check-in at our hotel. This morning ascend Mount Carmel for a panoramic view of the city and the bay. Then depart Haifa as we drive south to Caesarea National Park where we will explore the magnificent remains of Herod’s city, the Roman capital, port and fortified Crusader town. Tour the Roman theater, hippodrome and walk the promenade to the renovated port area. Continue on to Old Jaffa, the world’s oldest port, and stroll along the winding cobble stoned streets with its charming artists’ colony, art galleries and high quality craft shops. Our vacation continues on to Tel Aviv and check-in at our hotel. This morning we will visit the Ayalon Institute, a fascinating museum built on the site of a secret ammunition factory that was operated by the Haganah during the British Mandate. There is no doubt that the efforts of the Haganah members who worked here under harsh conditions played a crucial role in the success of the War of Independence and David Ben Gurion termed their efforts as heroic. Return to Tel Aviv and enjoy a panoramic tour of the city. The remainder of the day is free for last minute shopping and to explore on our own. Tonight enjoy our last supper together at a local restaurant. Our Singles Vacation ends after our final breakfast. 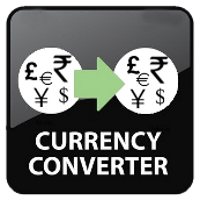 Say goodbye to all your new friends as you transfer to the airport and your flight home. Shalom from Israel!